This is now the home of the Prague Tourist Information Centre and is full of useful information. There’s a twist though, as the tower here is also a tourist attraction. It was originally built in 1338 and you can now climb right to the top. There is an elevator if you don’t fancy the stairs and the view of the Old Town Square from the top is fantastic. This is an extract from our free Prague City Guide. 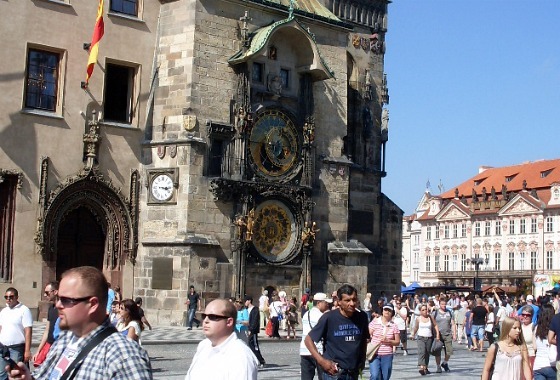 The tower of the Old Town Hall (Staromĕstská Radnice) is also home to Prague’s famous Astronomical Clock. The Tourist Information Office is open daily from 9am to 7pm, the Old Town Hall Tower is open on Mondays from 11am until 10pm and Tuesdays to Sundays from 9am to 10pm. 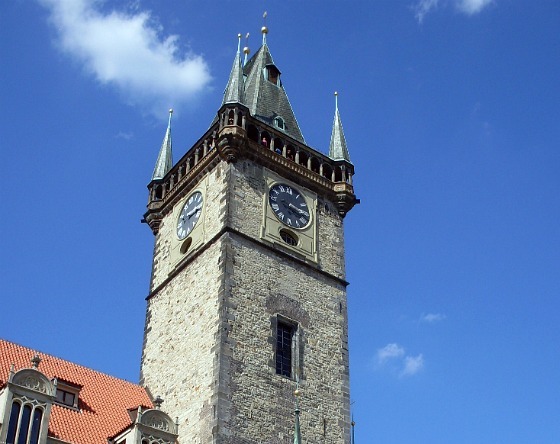 Adult admission to the tower is 105 CZK with children and students at 55 CZK (2012 prices). 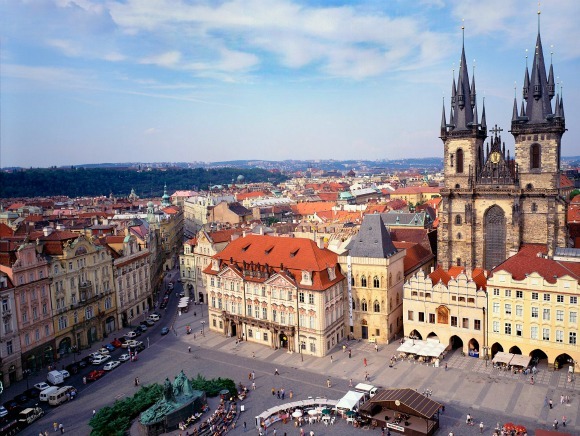 The Old Town Hall is featured in the Prague In One Day Sightseeing Tour.